Happy Monday! I can't let this past weekend come to close without taking a moment to thank the amazing Rhoda over at Southern Hospitality blog for sharing a tour of our home on Friday and in turn introducing us to tons of new followers - so, hello to everyone!!! And a special thanks to Rhoda. Now, on to my regular ramblings. This past Christmas some of my absolute favorite gifts were new additions to our library. Of course, I love to drool over and gather inspiration from the images within, but I also love to decorate with books, making books the perfect gift that keeps on giving! 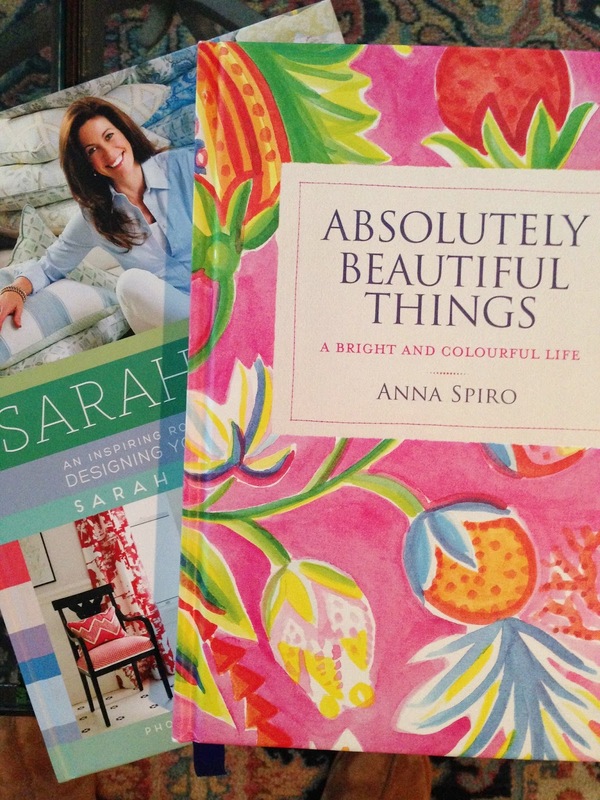 Absolutely Beautiful Things by Anna Spiro was a big splurge and I was simply stunned to find it waiting under the tree for me. 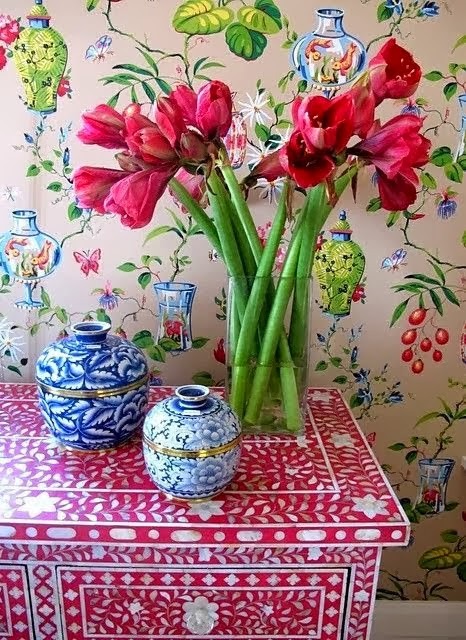 If you're not familiar with Anna Spiro and her work through Black & Spiro let me be the first to enlighten you: she hails from Australia and has the most fascinating sense of style, her unique take on mixing colors and patterns has truly set her apart from other designers. Although her style may not be everyones cup of tea nor do I think it could or should ever be exactly replicated, there is a lot of inspiration to gather from her book. After all, it is one of a very short stack of decor books that I actually read cover to cover. Now that's saying something. 1. A round sidetable - thrilled to see I'm not the only one that loves a good round table in rooms other than the kitchen! There's nothing better to break up all the hard, straight lines of multiple sofas or a sectional than a round table. 2. 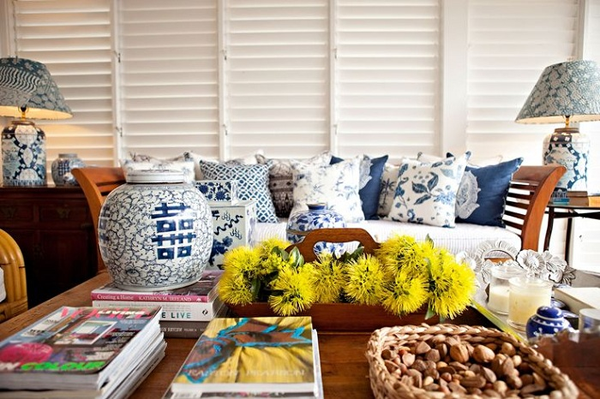 Blue and white - She shows that blue and white, although obviously very classic, doesn't have to be stuffy or boring. Especially paired with pink (more on that later). 3. 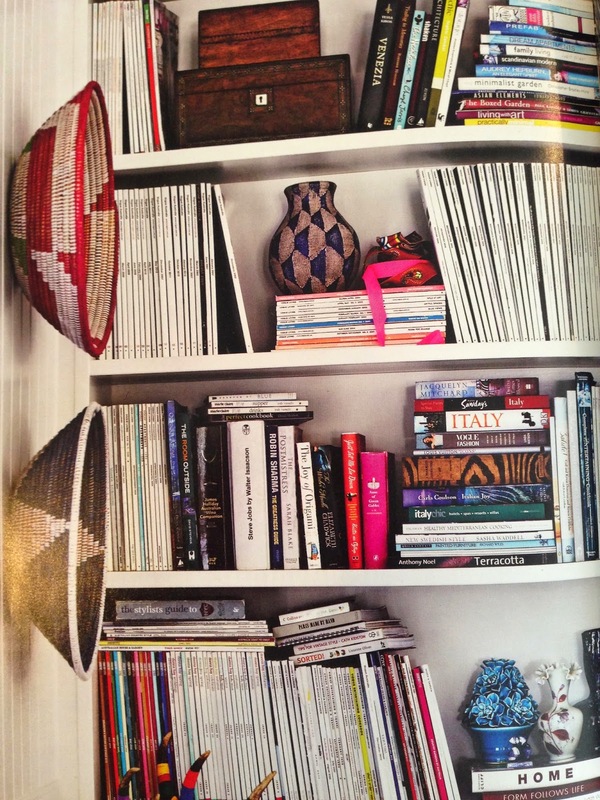 Shelves - I love that her shelves aren't perfectly styled and look as though someone has actually been using them (the shock and horror of it all). And to add insult to injury her "books" aren't all antique leather bound first editions. Gotta love that. 4. Pink - She loves color, no doubt about that, but she especially loves her pink. 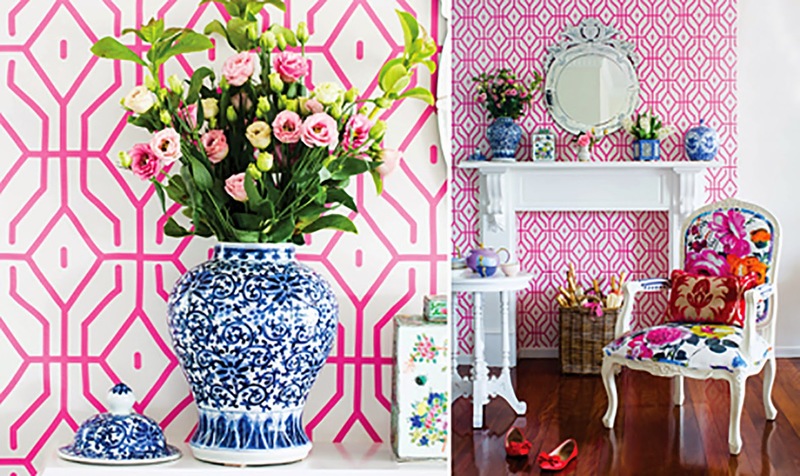 Pink can be used in so many ways other than just in a little girl's room. 5. 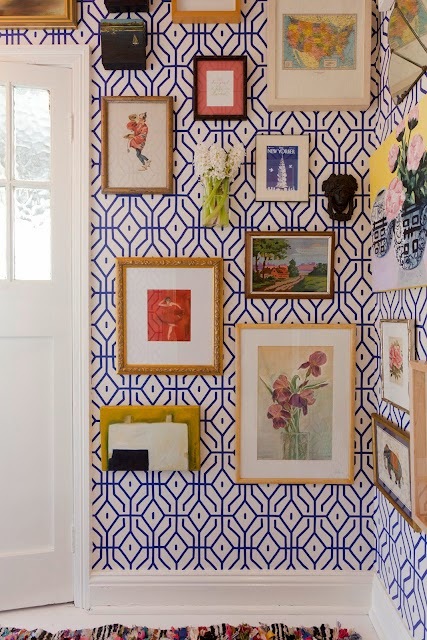 Mixing Patterns - she loves to play with color, pattern and texture. My favorite quote from the book, "It's all about the mix not the match". So true. 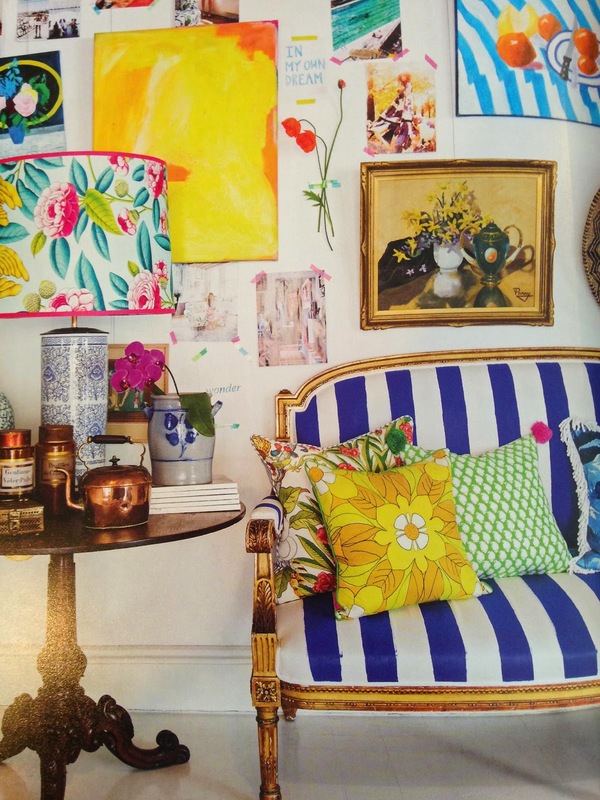 I'll be back a little later in the week to share how I've incorporated some of these ideas into our own living room. Have a good one!